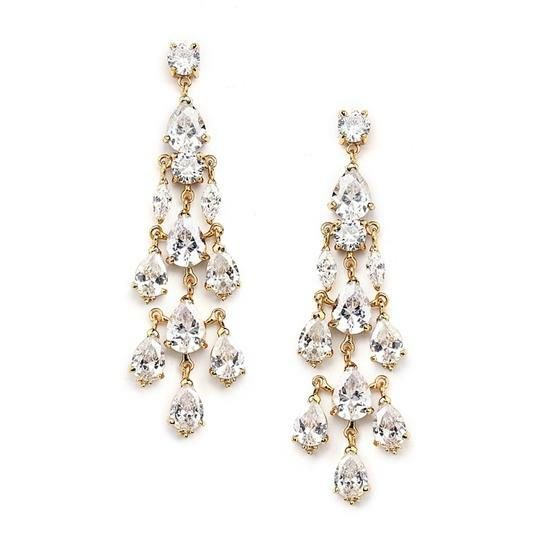 Our 2 3/8" h x 5/8" w cz crystals Chandelier Wedding Earrings cascade with AAA quality cz crystals set in 18 Karat Gold tone plating. Lauren's chic boutique. 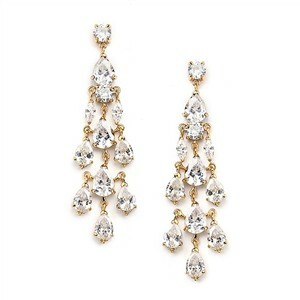 Our earrings add golden shimmer to wedding, prom or bridesmaid gowns. Special Occasions Earrings in Gold are all the rage, so add these to your jewelry collection and wear them over and over again.